I have to say that I am really enjoying this album. Proud Disturber Of The Peace was released Friday August 4th via Loose Music. Loose, are one of my favourite labels who have a killer rosta such as Courtney Marie Andrews, Andrew Combs, Joana Seret, Sturgill Simpson, Barna Howard, Danny and The Champions Of The World and The Handsome Family to name a few, so one of these days I was expecting to be reviewing an album that I wouldn’t like. Nope, not going to happen by the looks of it. I had some idea of what to expect from William The Conquerer as had seen them support The Handsome Family but to be honest, my memory wasn’t that strong, not in a way that they were bad but simply just nothing stuck, or so I thought…. Upon playing this album in the car I was instantly relaxed and enjoying it and thank goodness because I was driving into the unknown and needed a stress reliever and this was it! 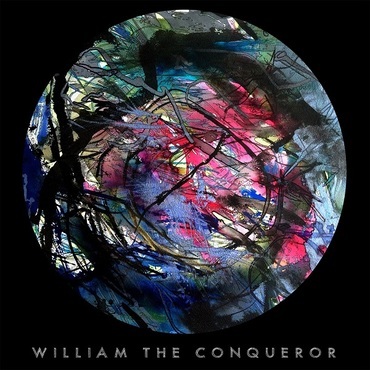 Just like most of Loose music artists, William The Conqueror have an indie sound to their music – I wouldn’t say that they are country but more folk-americana in general but this album also holds strong elements of Jazz and Blues. The first song In My Dreams has instant appeal and is a great song to kick start the album – it is an easy going track and what I would call a road song as it felt good to drive along to it, it has a relaxed, mysterious, hypnotic vibe to it. This album makes me want to see this band in a festival setting as they are the sort of band that fit perfectly and have that certain Je Ne Sais Quoi that really works well in a festival atmosphere. Now I mentioned before that I didn’t think I had left their show with The Handsome Family with any memories but the moment their song Cold Ontario started playing, I was instantly transported back to that show. I love this song, it is so good and having listened to this album non-stop in the car since receiving it, it is certainly a song I really look forward to. It is great from the intro of “ooh’s” right through to the end. I really like the whole stylings of the song, the toe-tapping, Jazz/Blues verses with the really infectious “so they say” lines to the catchy chorus with the words “Cold Ontario” standing out. There is also a bit of Morcheeba in this song I feel, just a bit. Another favourite for me is Pedestals. This song reminds me a little bit of Noah and The Whale and the band Dodgy. This song is great in its simplicity and has that appeal that Dodgy always had where the melody was in the vocals mostly which also bring a lot of character. The Many Faces of a Good Truth is another fantastic song. It has a really appealling Jazz/Blues style to it and a strong chill-out vibe that reminds me of the days of sitting in smoky chill out bars and taking in the music. This track has a wicked instrumental segment which is really captivating. I would love to see/hear this song live, it is one of those tracks that live, can really be extended and involve a large jazz band and you just wouldn’t want it to end. A lot of this album follows the same vibe and is definitely an album to go to if you want to escape and enjoy some dang good tune sonically and lyrically. I cannot rave enough about the Jazz/Blues element, I really needed it this week. I am hypnotised by this album, completely taken in and I feel so cleansed. Is it ironic that the album title has done the opposite, or was it intended?